It’s no secret that we like to keep fit. 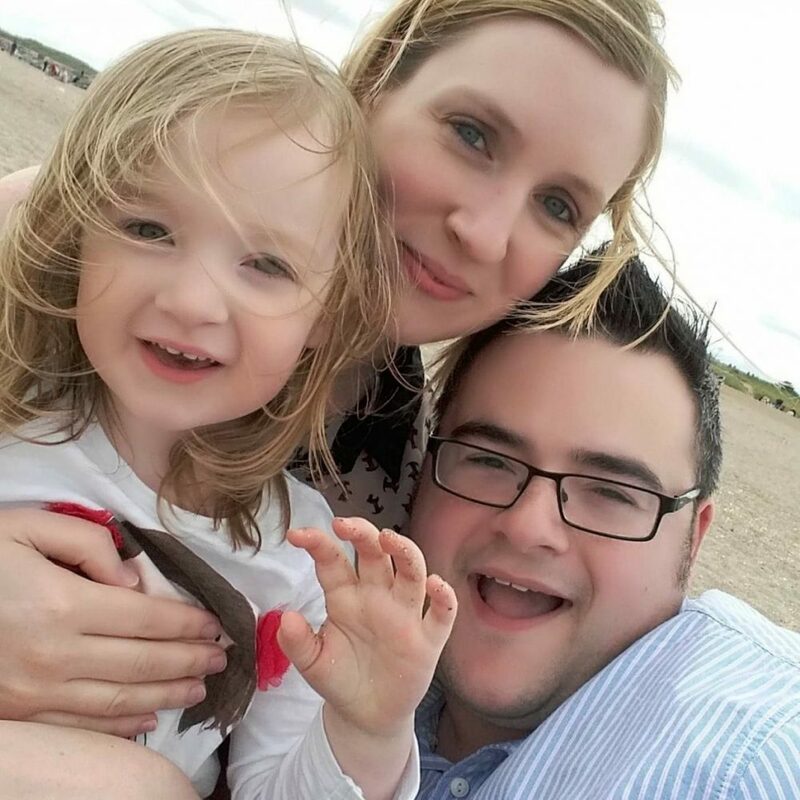 I have come to a bit of a standstill with my fitness since having Lottie 4 months ago but I’m looking to start going to a yoga class and working out again as soon as I feel a bit more ‘normal’! Mario works out 5 days a week and is a keen runner who has recently started using products to get the most out of his workouts and runs. We were asked by the European market leader in sports food, Multipower, if we would like to try out and feature some of their products so Mario was keen to do so as we have just finished reviewing for Musclefood. So here is how you too can increase your workout results. 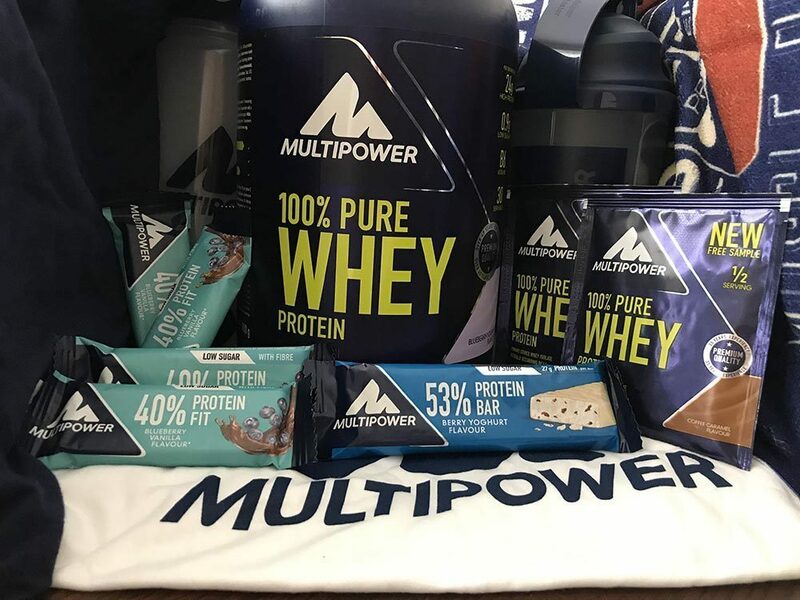 Founded in 1977, Multipower has over 30 years’ experience in developing and manufacturing sports food. They are passionate experts who have created a range of sports food including bars, drinks, powders, gels and supplements designed to support different training goals from improving endurance and increasing muscle size and strength, to toning the body and creating definition. They also have a Multipower Professional range which meets the needs of those strength training and body-building. 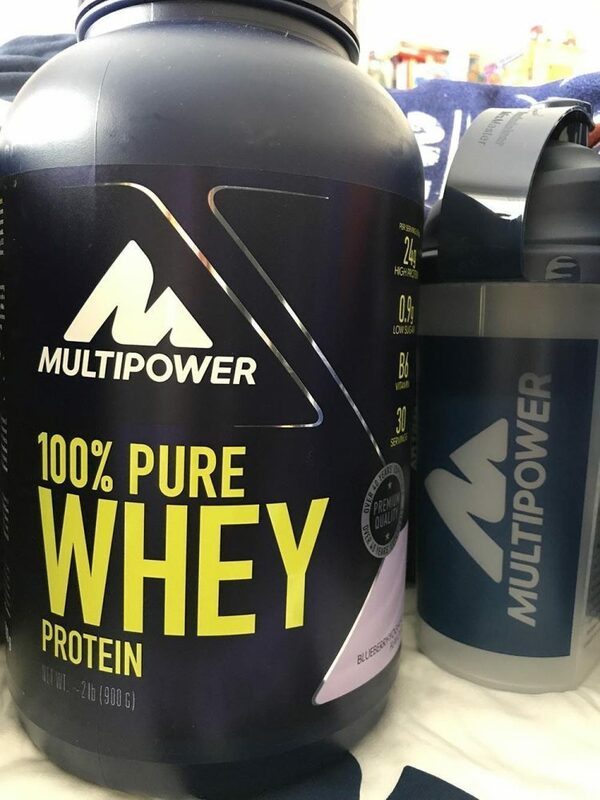 One of the main products Mario uses every day is protein powder and Multipower have their own 100% pure whey protein powder available (£27). Protein powders are great for recovery after an exhausting workout and can support lean muscle growth. Easy to digest and only containing 4% carbs, the powder which is available in 7 different flavours, is suitable for vegetarians, and is gluten and aspartame- free. All you have to do is mix 30g of powder with 200ml of water and drink. 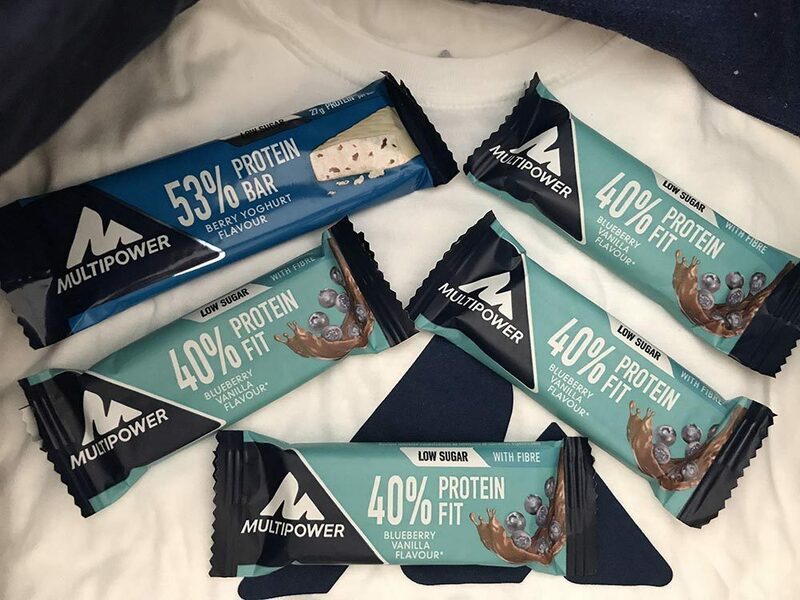 A really useful product to top up protein intake on the go, before and after a workout, is to have a protein bar and Multipower’s 40% protein fit bars are a great sized snack, ideal for when your training hard and they help to increase your workout results. Low in calorie and high in protein, these bars are an excellent source of fibre and are low in sugar. The bars contain fast and slow acting proteins which are necessary to build and maintain muscles and also contain copper which helps to maintain connective tissues. There are 3 flavours to choose from and 24 bars are priced at £30 so are great value too! 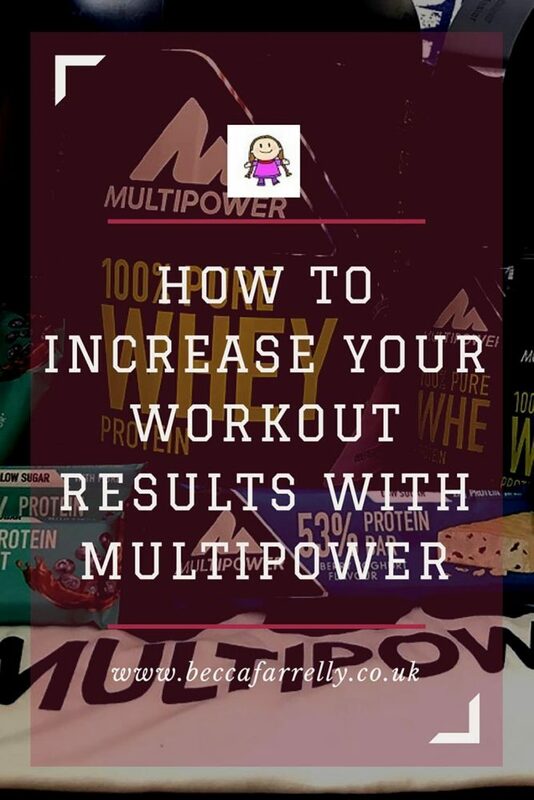 The Multipower products we have been trying over the last few weeks have helped to increase the effectiveness of our workouts and they could also help you increase your workout results. The products not only taste good but also noticeably make a difference before and after working out. I have no doubt that with further use, we would continue to see a difference in our workouts and that’s really important in our progress moving forward to a healthier and happier lifestyle!